Star Wars is one of those things that will likely never go out of style. Children and adults alike are rejoicing over the release of the latest movies, and kids are becoming enthralled in the new story lines. If you are like me, you may have some children who view reading as a chore that they would rather not do. That's why I try my best to find books on subjects that actually interest them. 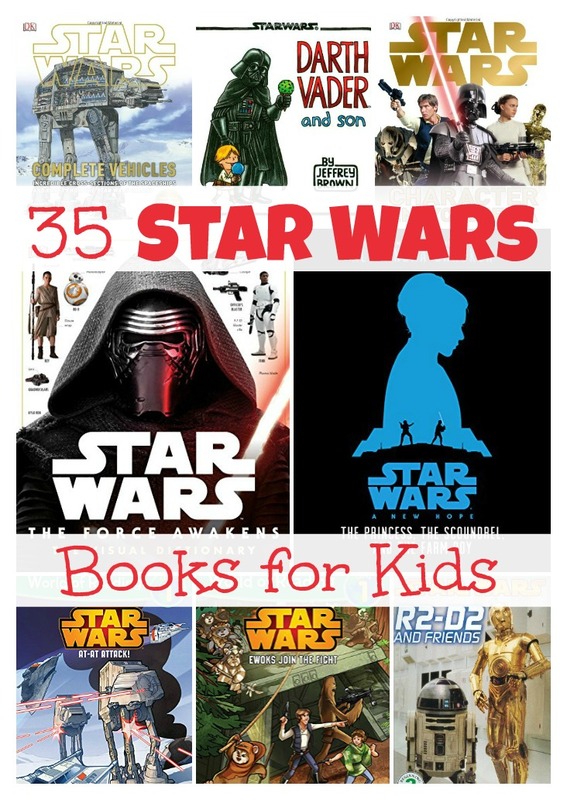 This list of 35 Star Wars Books for Kids is a great compilation I have put together full of Star Wars books for kids of all ages. If you have a Star Wars fan in the house like me, go ahead and check out the list or Pin it for reading reference throughout the year! To see more information on each book, simply click the title below. All books above are available on Amazon, and most if not all come with free 2 day shipping if you are a Prime member. Feed your child's love of reading with this great collection of Star Wars Books for Kids.